At the hour of noon in a gallery in a museum in New York City, a young and pretty girl died with an arrow through her chest. The few visitors to the museum rushed to the scene of the crime, and saw, leaning over the body, an older woman with her hand on the arrow and a look of horror on her face. A curator, William Jewett, went to the woman who said that her name was Ermentrude Taylor and said that she was just passing through the gallery when the young woman was struck down. She was also questioned by the director of the museum, Carleton Roberts, but she admitted that she had seen no one actually shoot the arrow. The curator called the police, and asked for a reliable detective to be sent. The museum doors were locked, and those visitors inside were not allowed to leave. At this time the curator believed that Mrs. Taylor had struck the young woman with the arrow thus killing her. The police did arrive in the person of Ebenezer Gryce who was over 80 years of age and troubled by rheumatism. Gryce was accompanied by other policemen including his favorite assistant, Sweetwater. It was found that the young woman carried no identification. Gryce interviewed Mrs. Taylor who was extremely distraught by the death. When questioned about her marital status she said that she was a widow and that she believed that her husband had died within the previous hour. It was obvious to all viewing this proceeding that Mrs. Taylor was losing her grip on reality. The other visitors to the museum were questioned, and their positions in the museum were mapped. None of them was in a position to have shot an arrow. There were many arrows in the gallery, but only one bow which was hung so high to be out of reach. Gryce would later call in a Native American who was skilled in the use of bow and arrow to recreate the crime. Gryce now had many questions which needed to be answered. Who was the young girl? How had she been murdered? What was wrong with Mrs. Taylor? Who actually committed the murder? I do not want to spoil the story for the reader, but will say that the murderer is found, and the background of this crime will be given in a long and rather melodramatic form. It is indeed a remarkably tragic story. This book was written in 1917 and was one of the last full length mysteries written by Ms. Green who is considered to be the mother of American mysteries. 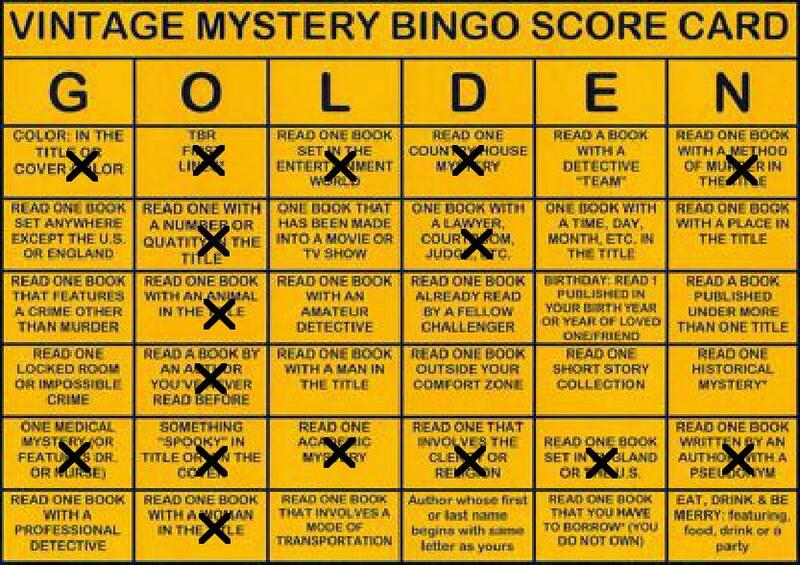 The part of the book which deals with the solution of how the crime was committed and who did it are quite interesting, but the part which describes the events leading up to the commission of the crime are a bit turgid and slow going for the modern reader. During the investigation of the crime, maps are made of the museum and of the location of the visitors. I believe that they would be very useful in understanding the commission of the crime. I, however, read the ebook collection of the Collected Works of Anna Katherine Green and the maps were not included although the legends of the maps were. 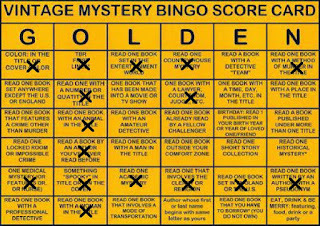 I have read this book for the 2015 Vintage Mystery Challenge Bingo in the category of a book with the method of murder in the title.